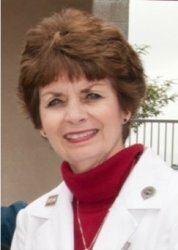 Cathy McJannet is a recently retired Director of Nursing Programs at a local college as well as a practicing emergency dept. nurse. She became involved in Healing Touch in 1997 when her patients and peers introduced her to the wonders of Healing Touch. Cathy works in the ER as an Advanced Clinician and practices Healing Touch in the hospital setting on a regular basis. Her 'Planetree' hospital strongly supports complimentary therapies and has a paid CHTP on staff to provide treatments for staff and patients. Cathy teaches Healing Touch in the hospital setting and at the community college where she teaches. Cathy is blessed to live in San Diego which has many very experienced Healing Touch practitioners and instructors who are wonderful mentors and role-models for her.